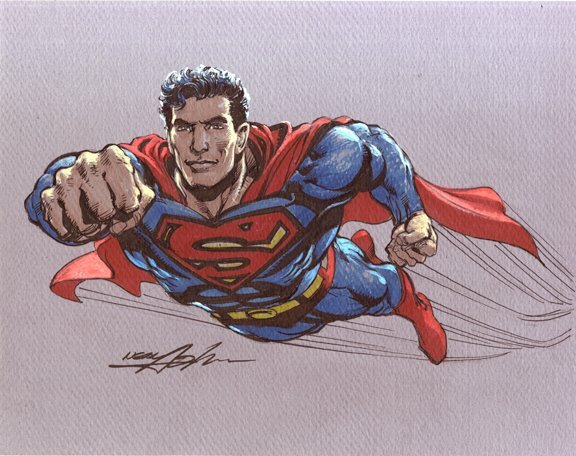 I did a special Superman drawing for an adviser to a life long friend. I was happy with how it came out, so I decided to do this color version. I like it even better. What do you think? I never got to do Batgirl as a comic. It’s a shame, I think. She’s a doll. We put this one up for auction this week. 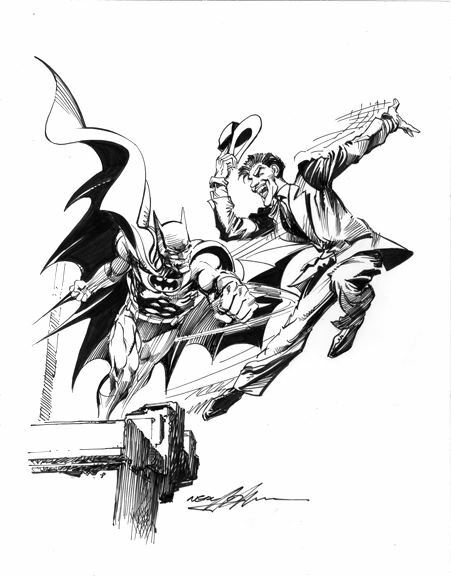 Here’s an inking of a drawing that Jason sold the original pencil of to a fan. I heard that fan had someone else ink it, so I was inspired to do an inked version myself. I really enjoyed it. So, a mildly muscular Wonder Woman? 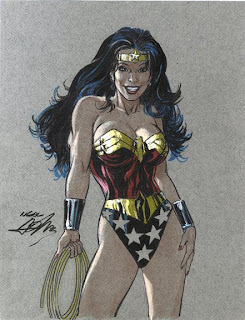 Personally, I think Adam Hughes does it better… BUT, you know, he seems to be having so much fun doing it. So here’s to fun. 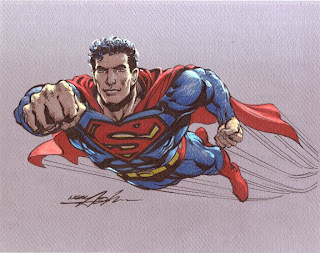 Beautiful drawings sir, just beautiful. Hey Neal, I just found your blog–nice to see! 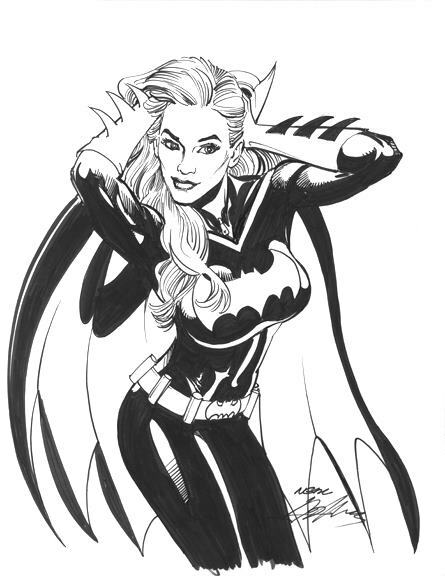 Really like your Superman drawing, and also Batgirl. I rarely buy comics any more, as you usually get 1/6 of a story–may as well wait for the TPB. I was thinking about what would get me excited to buy them again, and thought of your art, with 2-part stories written by guest writers. Could be new writers and old, who would write a cliffhanger in issue 1, and the conclusion the next month. THAT I'd buy in comics form. The TPB could collect 3 of these stories, for the TPB people. It can be called "Neal Adams Presents"! Anyway, hope you consider it, and thanks for all the great comics you've done!